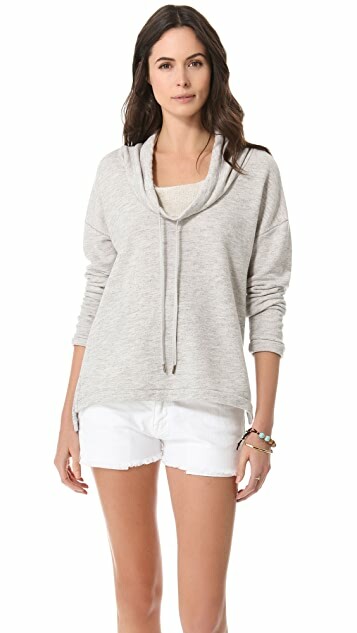 A softly draped cowl neckline is detailed with a drawstring for a more fitted silhouette on this casual French terry sweatshirt. 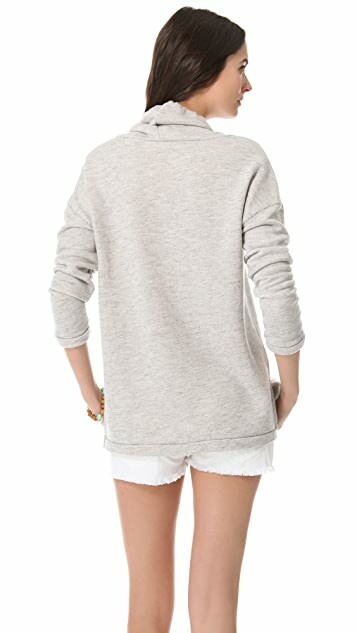 The asymmetrical hem is slit at the sides, allowing for a cool, figure-skimming fit. 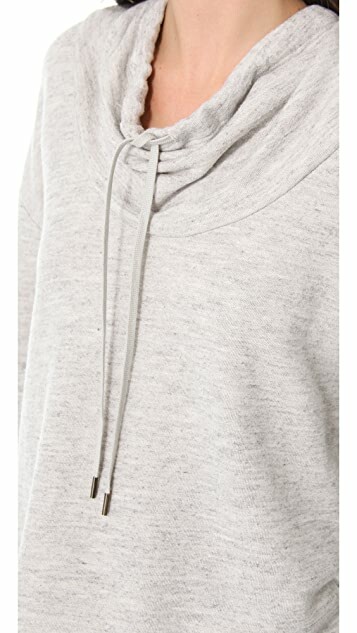 I bought this sweatshirt to wear on a long flight so I could be comfortable but not look too sloppy.